Seaford Bay is well used in the summer months, especially when the temperature heats up, encouraging beach users to have a dip in the sea to cool down. 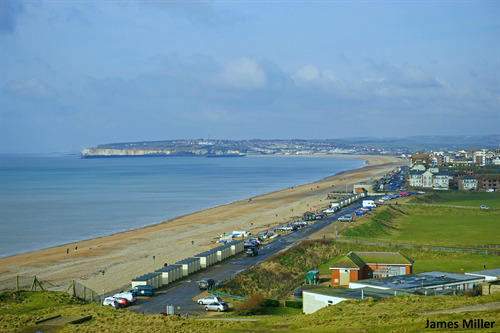 Seaford Town Council is therefore thrilled that Seaford Bay has maintained its classification as Excellent under the Bathing Water Directive. Seaford is a rural beach, rather than resort beach but still boasts two refreshment kiosks, public toilets, a voluntary and nationally recognised lifeguard team that operate throughout the summer weekends, three miles of undisturbed shingle beach, an easy access promenade and water groyne, an RSPB viewpoint, Seaford Museum, access to walks across Seaford Head to the east and the historical Tide Mills to the west, ample free parking and just a short few minute walk to the town centre and local parks. If entering the water however be sure to be safety conscious; during summer weekends the lifeguards will fly advisory flags regarding entering the water however during the week individual’s must use their own discretion. Dog walkers are also advised to take note of the signage on the promenade regarding Dog Walking Byelaws in effect on the beach from 1st April to 31st September. There is also signage regarding Pleasure Boat Byelaws; please be sure to familiarise yourself with this before using any sort of pleasure boat in the bay. Families, couples, fishermen, water sports enthusiasts, walkers, dog walkers and swimmers alike can all enjoy the Seaford Bay!